Hello, all! 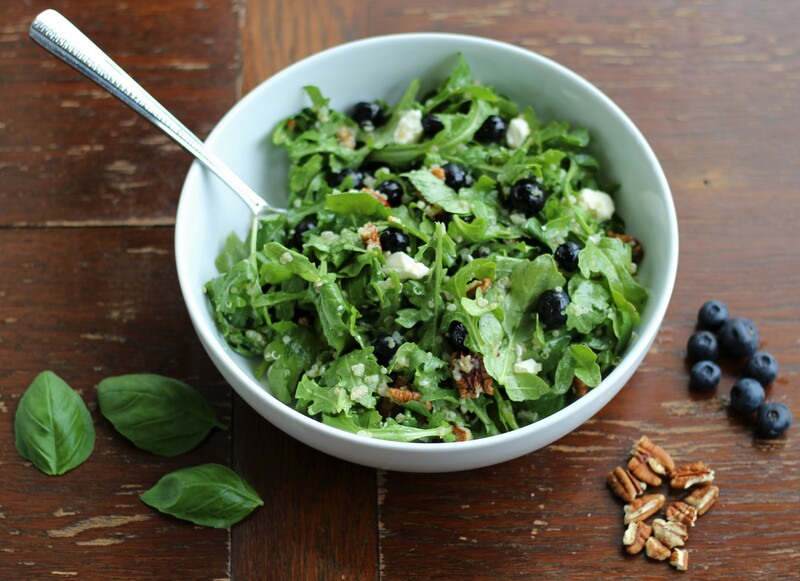 It’s May, and it’s maybe almost summer here in Michigan, and summer means fresh, healthful salads like this Arugula and Quinoa Salad with Feta, Blueberries, and Pecans! It’s been two weeks since I’ve last posted, and I’m glad to be back in the game! Life has been a little crazy lately, but when is it not in this day and age for most of us, really? I let myself fall out of the habit of recipe creation and felt The Resistance – that dreaded force that plagues so many of us creatives – looming larger and larger. The longer I waited to try a draft of a recipe, the more daunting a task it felt. Last night, I finally coaxed myself into trying a first draft of a vegan dessert recipe I’ve wanted to attempt for weeks. The result: a resounding FAIL. Draft 2 would require some prep work; I’d need at least a day or two to get back at it. I was discouraged. Finally I decided this morning that if I wanted to get a post up, anything would do, really. That’s the kind of thing I have to tell myself as a recovering perfectionist. Perfect is the enemy of the good, right? (Any recovering perfectionists with me on that?) 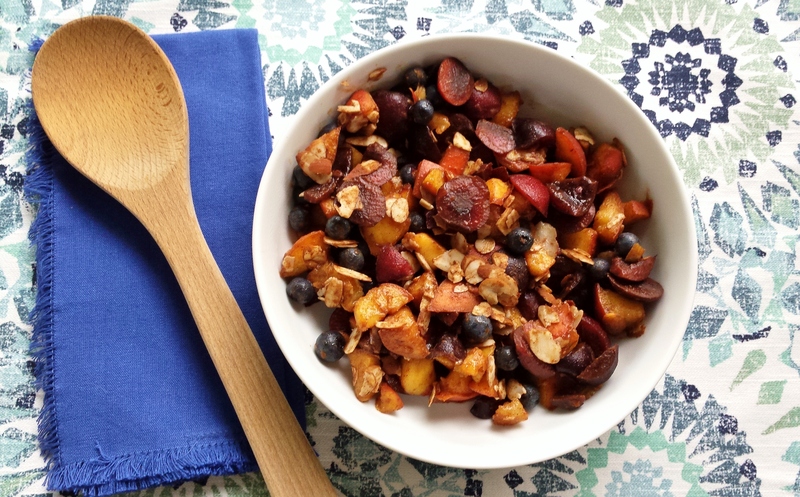 So I got up early and dragged myself to the grocery store, intending to pick up a few things for a granola recipe I had in mind – until a more tantalizing idea hit. What about a salad, with fresh blueberries . . . and pecans . . . and arugula – of course arugula. And some quinoa. And my lemon vinaigrette. Arugula and Quinoa Salad with Feta, Blueberries, and Pecans was born. 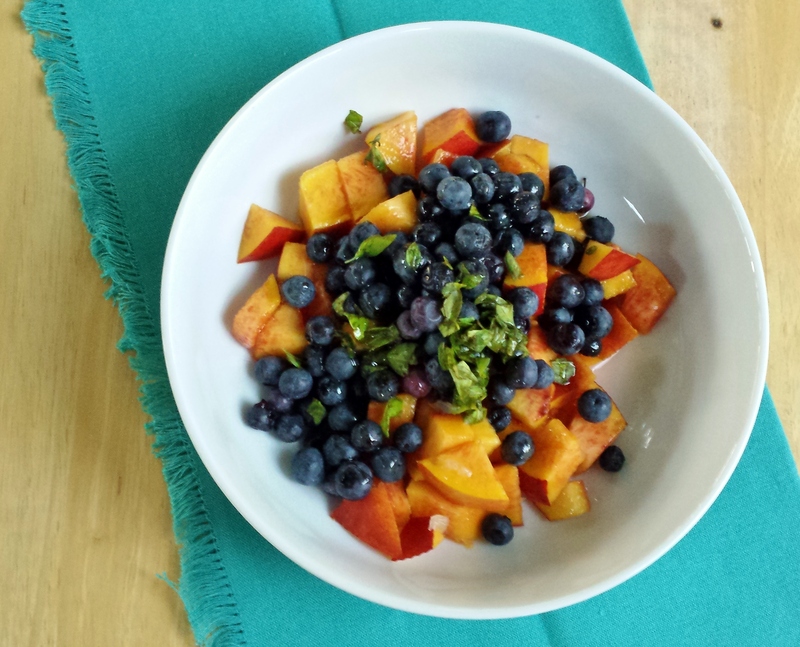 I couldn’t figure out what ingredients of this fruit salad to incorporate into the title because they are all so frickin’ delicious and integral to the flavor – so I just incorporated them all! Longest title ever – but very apropos, considering that this is one summer side that is not short on flavor. So pretty, so simple, so yummmmmm!